GHS members enjoy a range of benefits, including each new issue of our quarterly journal, The Historical Times, mailed free to your home. Join or renew by clicking "Join Now" below. To learn more about the benefits of GHS membership, click here. We can always use more help, and there is a range of ways that you can get involved: engage with the public as a docent, work behind the scenes processing our collection of artifacts, help us maintain the buildings and grounds, or more. Your support allows us to keep the Society running. 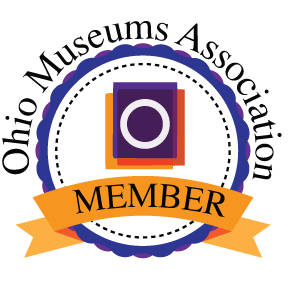 We rely on donations to maintain and improve our buildings and collections, publish books on Granville history, develop new exhibits and school curricula, and much more. Each time you make a purchase using this link, Amazon sends a small percentage to the Granville Historical Society at no additional cost to you. Get in the habit of shopping through the GHS Amazon link and help the Society every time you shop.